Cat behaviour video with commentary on how to introduce one cat to another | A Cat Called Freya, and Teego Too! 10 comments to A New Cat Behaviour Film! Thoroughly enjoyed it and can’t wait for episode 2! That was a great episode. Loved the narrative, too! That was awesome! 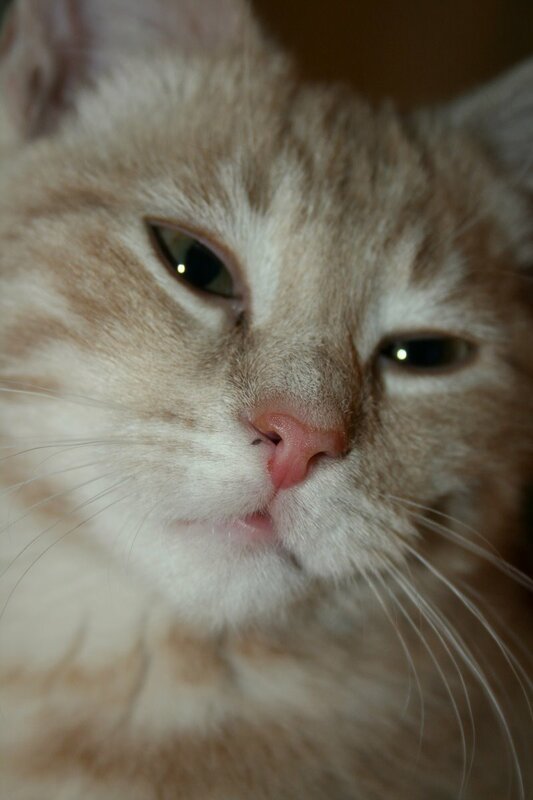 Harley does the slo-mo moves and high-pitched meow, just like Teego did. The narration really added to the story. Looking forward to the next episode! absolutely love it! Wonderful narration, great music, so much to learn! My only suggestion…there have been studies done that have said that people will not watch videos online that are more than 3 minutes (maximum)….people have short attention spans. I would break this up into 2 or 3 shorter videos……just a thought, other than that, fabulous! That was great! The narration was perfect! Wow, he did a great job, looking forward to part two! I love these videos. 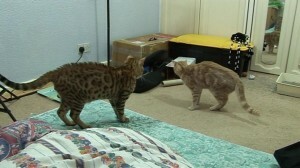 More so, I love the reactions of Sophie, my middle aged Bengal cat, to these videos. So I’m doubly entertained. Bengal cats are a special thing indeed. Delightful, an endearing view of the felines in action. My appreciation of their grace and frivolity has always been paramount. I have a purebred female Toyger, and she does the same thing. I will turn the bathroom sink on a low stream, and she will paw it for about15-20 seconds and then turn her head sideways and drink from the stream of falling water (but never the water in the bowl) Once in a while she will put her paw in the water first, then lick it before she drinks. Sadly, she has become a bathroom addict and must accompany everyone into the loo, jumps on the counter rubs her head on the faucet and talks until we turn on the water. If you don’t turn on the water, she will tell you she is unhappy! PS: are you on Facebook? I have seen the name Freya there.